Normal was what my elementary and middle-school classmates did over spring and summer break, flying to wave-kissed beaches or hitting flashy amusement parks. Not my family: My parents would load my two half-sisters, my brother and me into a big blue Dodge van with finicky air-conditioning and drive us hundreds of sweaty miles to exciting destinations like Lusk and New Castle, Wyo., Broadus and Miles City, Mont. Amusement parks, as far as they were concerned, held nothing but crowds, noise and cheap gewgaws, and Mom, whose fair skin burned easily, was not fond of prancing about in a bathing suit. But the broad and sparsely populated reaches of eastern Wyoming and Montana offered clear, dry air, sweeping skies, and an intoxicating sense of freedom. Best of all, their badlands and breaks were scattered with the remains of the late Cretaceous — mineralized seashells that in life, 100 to 65 million years ago, cradled tentacled creatures in the dark of an inland sea. Decked out in long-sleeved shirts and pants, broad-brimmed cloth hats and boxy over-the-spectacles sunglasses, Mom and Dad led us across this dry country, teaching us the difference between placenticeras and scaphites, baculites and didymoceras. To sweeten the deal, they booked rooms in motels with swimming pools, and when we were older, allowed us to bring friends who were curious (or brave) enough to join us in the baking expanses. Even so, we kids stopped going in late high school, more thrilled by the prospect of a parent-free house. With barter and bribe no longer necessary, Mom and Dad could finally pursue their obsession untroubled by our demands for normalcy. 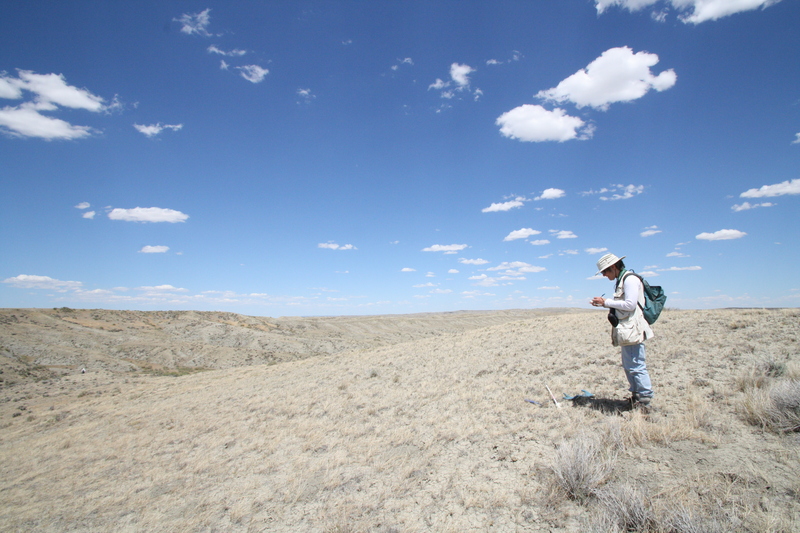 So when, at 31, I ask whether I might tag along on a weeklong fossil trip near Casper, Dad pauses. “How long do you think you’ll join us for?” he asks. “A day or two?” I suggest.